As an Annapolis homeowner, you want your residence to look its absolute best. In this way, you and your family can get the fullest enjoyment of your home. 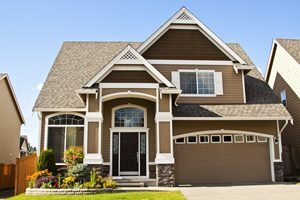 One of the most critical aspects of your property’s curb appeal is its paint job. If you need to repaint the exterior of your home, it is highly recommended that you hire a professionally licensed painter for help with the project. This is the most fool-proof way to avoid common exterior painting problems. At Annapolis Painting Services, our highly skilled Annapolis exterior painting contractors would be honored to assist you with this effort. With the guidance of our experts, you will avoid many common pitfalls and mistakes that lead to substandard and short lived results. Our painting professionals can provide you with a stunningly beautiful and long lasting exterior paint coat. In order to help our customers avoid common exterior painting mistakes, our team has provided the following guide. Call Annapolis Painting Services today if you have any questions or if you want to hire our team to assist you with your next house painting project. We would be happy to take your call, to answer any of your questions, and to schedule your appointment today. Far too often, people try to paint the exterior of their properties without the requisite knowledge, skill, and experience. One of the most common results of this are temperature blisters. Failing to prepare the surface to be painted and allowing your paint to dry at the wrong time of day can lead to immediate problems. With the help of our Annapolis painting contractors, you will not have to worry about temperature blisters. Another common problem that affects a substandard exterior paint job is intercoat peeling. Certain paints are designed to adhere to specific surfaces. For this reason, you must sand away paint from the side of your home before paint application. Failing to do so can lead to intercoat peeling, where the new layer of paint fails to bond to the surface of your property. Again, our Annapolis painting contractors can prevent this from happening. When moisture gets between the top layer of your paint and the surface of your home, it can lead to a number of problems, the most apparent of which is called a moisture blister. When the water beneath your top coat heats up, it will evaporate and expand. In turn, your paint coat can peel, crack, bubble, or chip. Poor preparation, application, sealing, and caulking can all lead to moisture blisters. When you hire our Annapolis painting contractors for the task, you don’t have to worry about any of these problems. Avoid these common exterior painting problems by letting our experienced Annapolis house painters do the job for you. Call Annapolis Painting Services today at 410-974-6768 or fill out our online request form.